Amazing diagramming features for your online software packed in a single WebForms control. You need to design an eye-catching workflow chart, graph or project management schematic? Then all you need to complete the task with excellence and speed is MindFusion ASP.NET Diagram Control. "NetDiagram is exactly what we needed for our project. It has a huge number of capabilities and it's very easy to use. Even when we wasn't sure on how to proceed, MindFusion's support was very fast and helped us achieving our goals. Great product, great value! Recommended." MindFusion ASP.NET Diagram offers a rich selection of predefined diagram nodes as well table nodes with unlimited number of rows and columns. You can organize your nodes in containers. 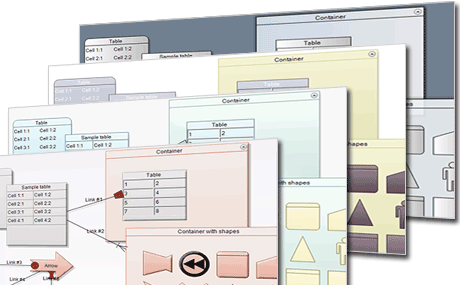 The shape designer UI tool helps you generate your own diagram nodes fast and easy. 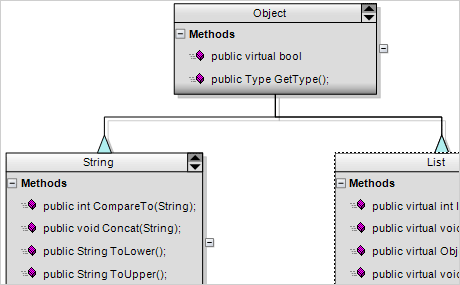 ASP.NET Diagram supports three user interaction modes: HTML5 Canvas, HTML Image Map and Java Applet [click for details]. In all of them useres can interactively create and modify diagrams. 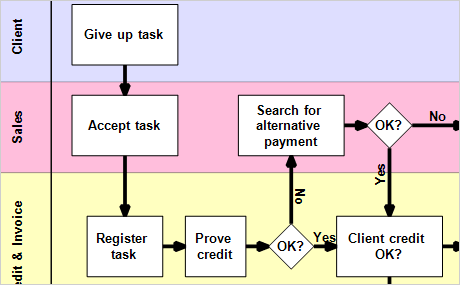 The Behavior property lets you choose how the flowchart responds to user actions. 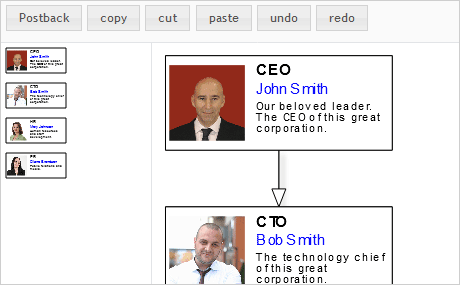 Clipoboard operations - cut, paste and copy of diagram elements - are fully supported. Users can perform single or multiple selection of items. Diagrams can be scrolled, zoomed and panned. A magnifier tool is also available. 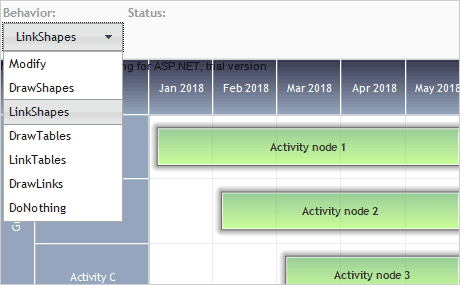 In addition to absolute positioning of items, the ASP.NET diagram control provides swim lane background grid and the ability to snap items to points of a standard grid. 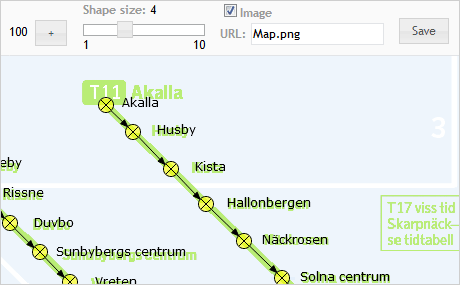 You can also control the route of diagram connectors and node anchor points. Diagrams with the control can be serialized .NET streams that may represent files, memory buffers, communication pipes, TCP sockets and so on. In serialized form a diagram might be saved in a database record too. Each diagram can be exported in BMP, WMF and SVG image formats. You can save your flowchart as a PDF file or Visio document. 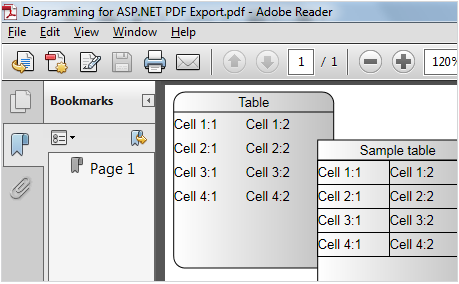 In addition, the export options include Adobe Flash files and Microsoft Excel documents. Printing with print preview are also supported. The look and feel of your diagram is completely under your control. Any diagram element - shadows, mouse coursers, selection, grid, background, nodes, connectors - can be styled by you. Themes and styles are supported too. THere is also a UI theme editor tool and a collection of predefined themes. 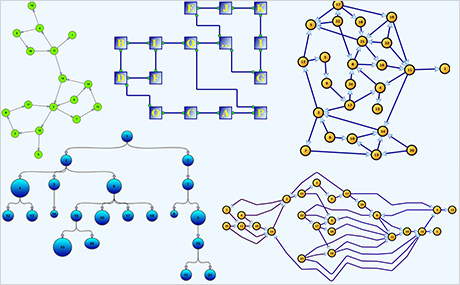 You can choose among more than 10 automatic layout algorithms, which can drastically overhaul the appratance of your flowchart. Each of them is applied with a single method call and you can easily experiment and find the one that perfectly conveys the meaning of your diagram. Graph Layout Algorithms in Diagram Controls. 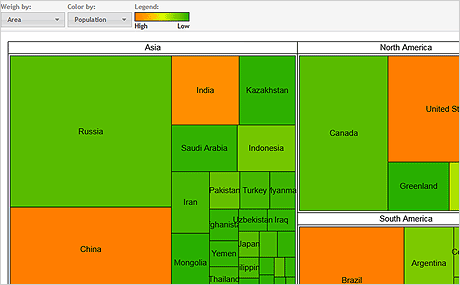 A treemap is a space-efficient way to render large amount of nodes that are nested within each other. The node location, size and coloring provide important information about its weight and place in the hierarchy. The built-in TreeMap layout algorithm gives you with a smart way to use your asp.net diagram control also as a treemap control. * Generally these are browsers released in the last 3-4 years like Internet Explorer 9 or higher.